This thermostatically controlled pond de-icer maintains a vent hole in the ice to allow harmful gasses to escape. Constructed of patented cast aluminum for ultimate efficiency and safety. 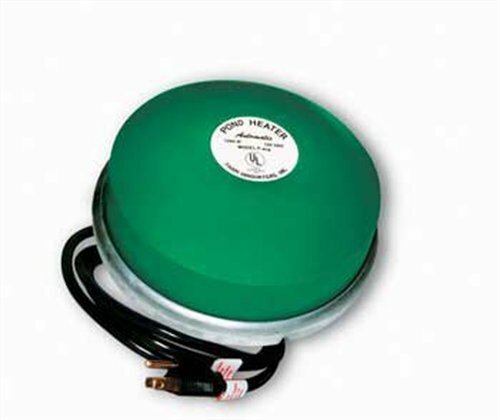 This fish and plant-friendly heater is for use in ponds of 50 to 600 gallons. 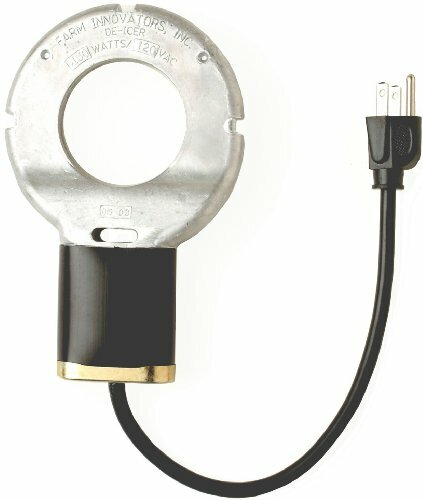 Industry standard 10 foot supply cord. Three year limited warranty. The first state of the art electric birdbath de-icer! Constructed of patented cast aluminum for ultimate efficiency and safety, this de-icer is thermostatically controlled to operate only when necessary. Safe in all birdbaths. Three year limited warranty. For 50 years, fishkeeping enthusiasts have looked to the Tetra name for products and solutions that add ease and beauty to their home. Whether you're an experienced hobbyist or just starting out, Tetra has everything you need–-from a large variety of quality fish food and innovative equipment to test kits and decor. In cold weather, toxic gases caused by decaying matter and fish waste can become trapped under the ice by releasing harmful pond gases. 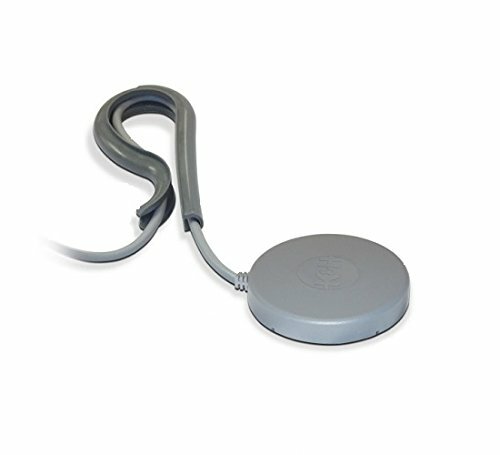 The TetraPond De-Icer helps release harmful pond gases by keeping an area of the pond ice-free. It features include a natural stone finish that blends in with your ponds surroundings. This product is 300 watts. Energy-efficient thermostat control shuts off power when not needed. UL listed. Effective to - 20°F (-28.8°C). 15 foot cord. 3-year limited warranty. 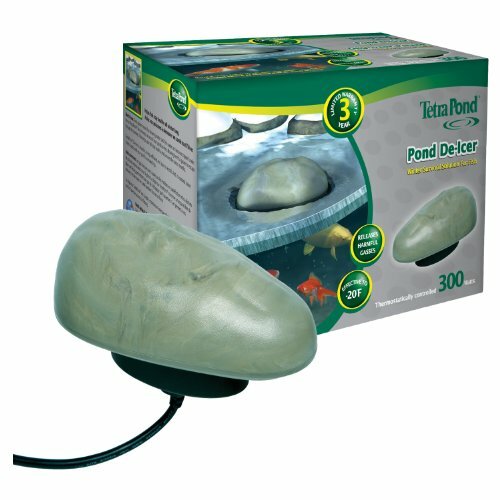 The TetraPond De-Icer helps fish stay healthy all winter long making it your winter survival solution for fish! A simple low wattage pail heater, the perfect bucket heater will keep pails up to 5 gallon ice-free using only 80W! free cord safety clip included to keep the cord secure & out of the way. Safe for all buckets, plastic or metal. Cord length is 57". met listed. Two year limited warranty. 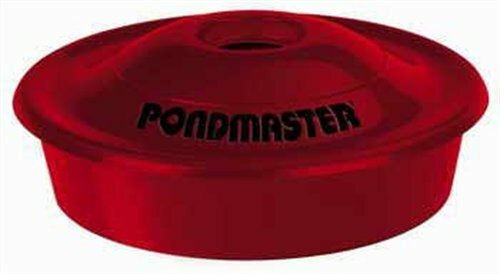 The floating winter pond de-icer is for use in those colder locations where typical winter temperatures result in significant or long-term icing of pond surfaces. 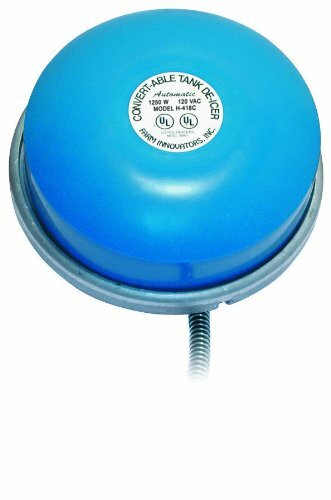 This item is a Farm Innovators 2-In-1 Cast Aluminum Convert-Able Plastic Tank De-icer Model H-418C, 1,250-Watt. Purpose of use for Snow Removal, Snow & Ice Melt. This product is manufactured in United States. 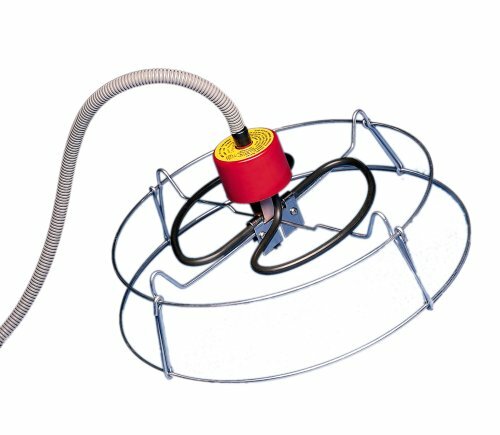 The Farm Innovators ICE CHASER is a high quality versatile small pond / stock tank heater which can easily be changed back and forth between a floating and submersible de-icer. 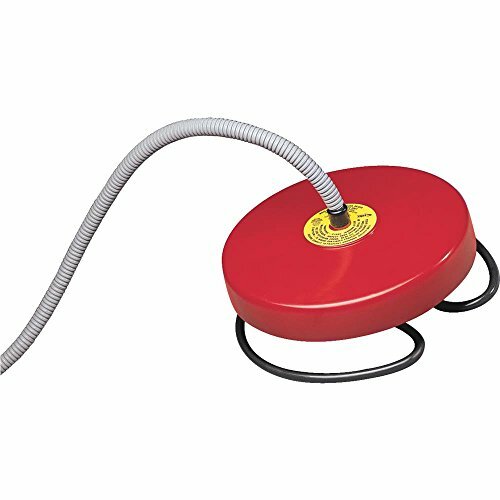 The ICE CHASER features all cast aluminum construction for ultimate safety and efficiency and has a thermostatically controlled enclosed 1250 watt element which is safe in all tanks, metal and plastic and works in tanks and ponds up to 300 gallons. 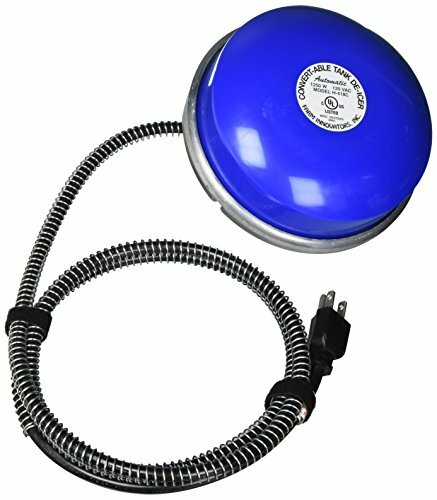 The ICE CHASER comes complete with a heavy duty wire wrapped electric cord and a 3 year warranty. Learn how to keep your fish safe with a simple pond de-icer this winter. 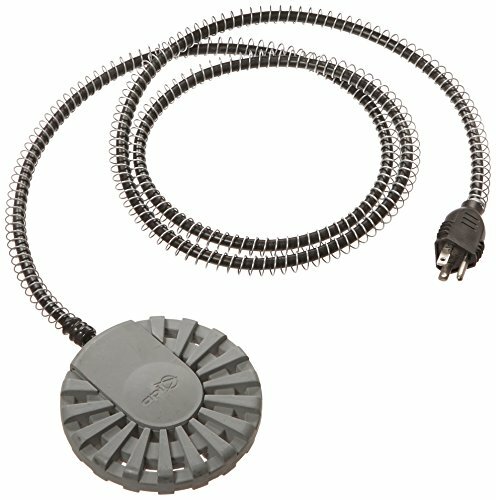 Compare prices on De Icer Heater at ShopPlanetUp.com – use promo codes and coupons for best offers and deals. We work hard to get you amazing deals and collect all available offers online and represent it in one place for the customers. Now our visitors can leverage benefits of big brands and heavy discounts available for that day and for famous brands.